Our favorite t-shirt design as a long sleeve. 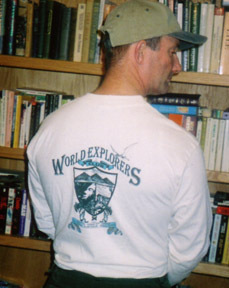 In the front is the WEX logo and the WEX Shield printed in two colors on the back. Great for winter months and full protection from the sun or insects. 100% natural color cotton. Mens and Ladies! Made in the USA. Specify Medium, L, XL or XXL. Looks great on guys and gals! Kids too! Free stickers with every order! And Free Shipping!